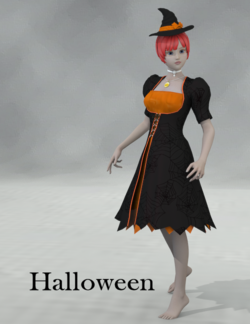 Halloween dress is a complete Hallowe'en-themed outfit, created by sione for Aiko 3. The wardrobe includes a short-sleeved dress, a witch's hat, a choker, and a necklace. This page was last edited on 1 September 2017, at 21:58.